Killinick fuel for the body & the Electric Car. 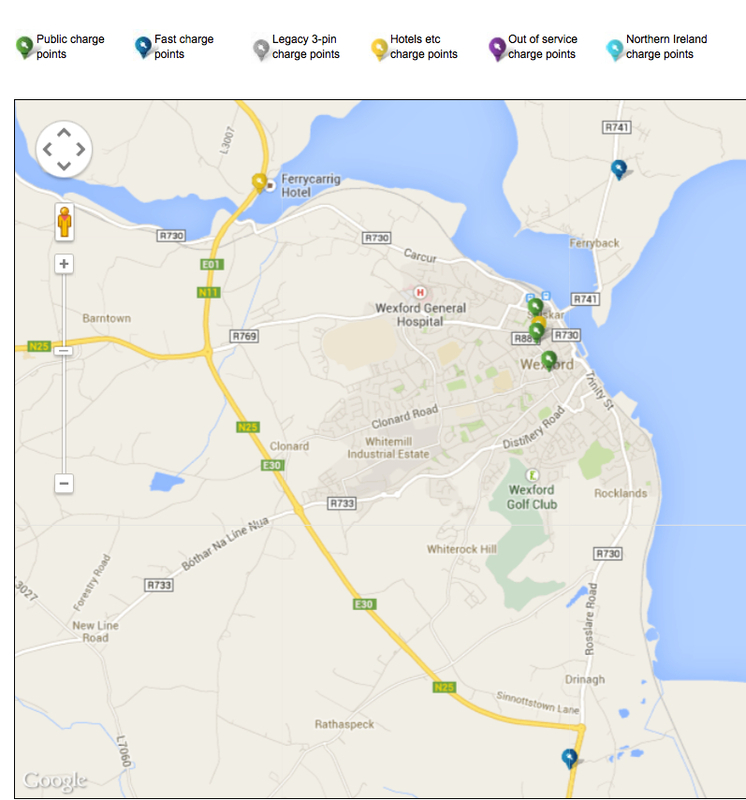 The E Car Charge point at Keilys of Killinick on the Wexford to Rosslare N25 is a quick charge point. 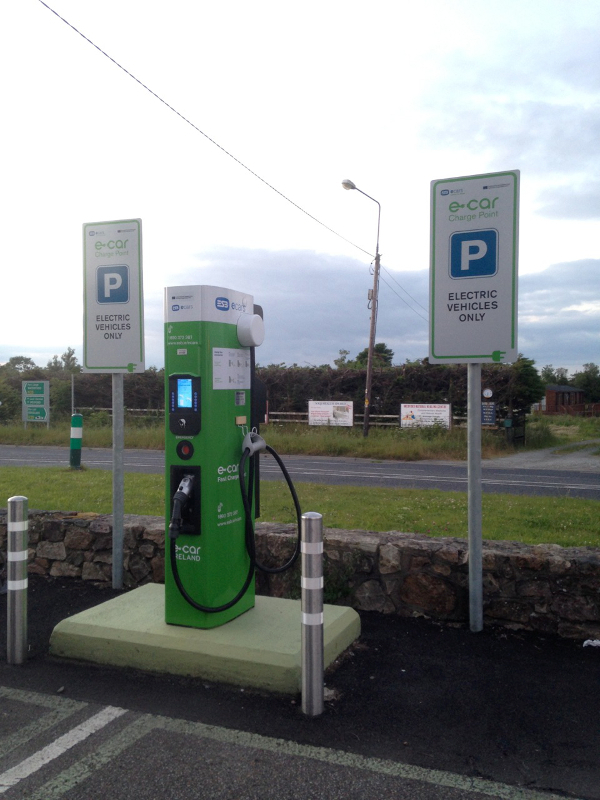 The commuter can roll into the service station, set their car to charge, pop into the service station shop, cafe or skip through to the village, while they wait for their car to charge. 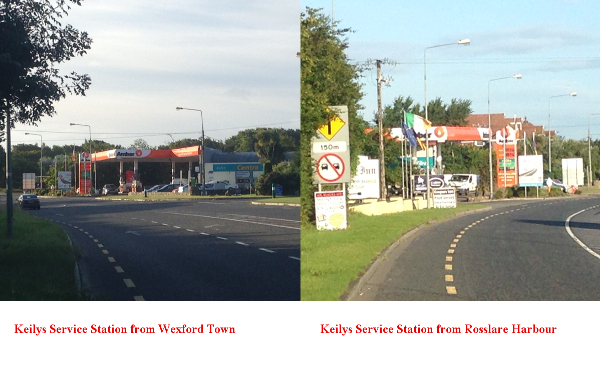 Indeed there are many spots to partake of sustenance in Killinick. Beside the service station is the Coopers Inn Resturant, which can also be accessed through the Ye Olde Coopers Inn pub in the village. There you’ll also find the Merry Elf, Karoo Farm Shop and McDonnalls Take Away. Fast charge points can deliver higher power to electric cars resulting in a much shorter charging time than domestic charging. 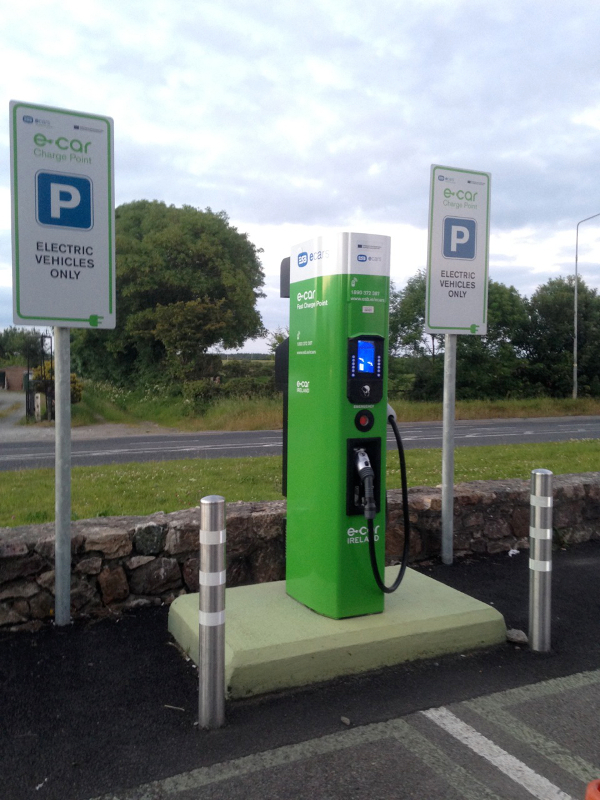 Fast charge points are installed mainly along inter-urban routes to facilitate nationwide electric car travel. Fast charging can be done using 3-phase, 63A AC (44kW) or 120A, 400V DC (50kW). 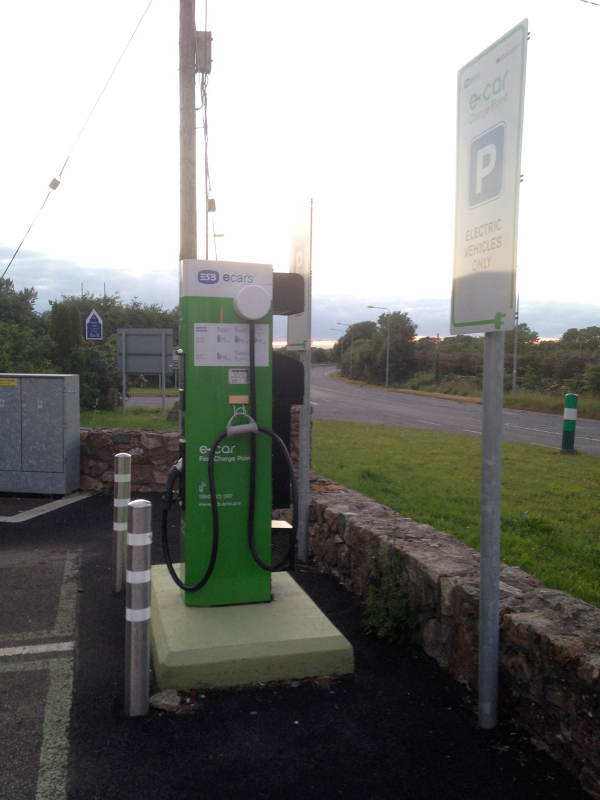 A 50kW DC fast charge point can charge a suitable electric car up to 80% in 20-30 minutes. 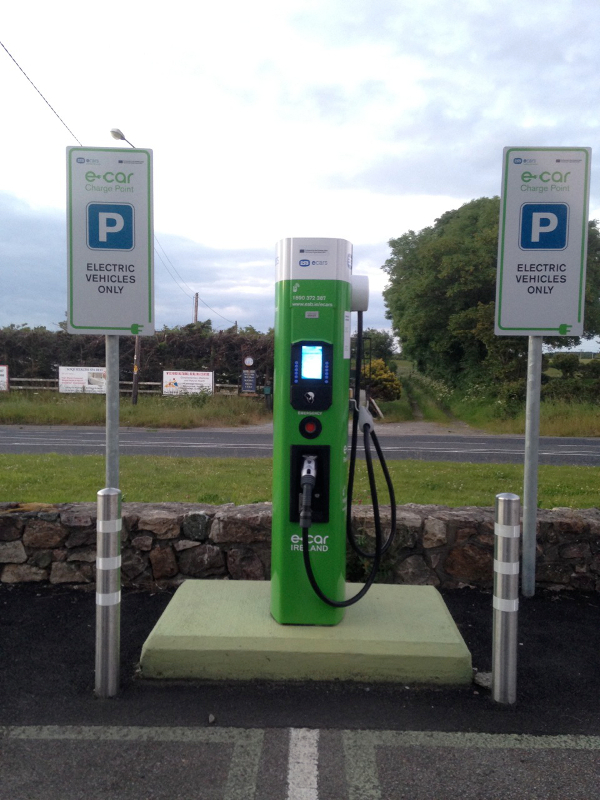 The Nissan Leaf, Mitsubishi iMiEV, Peugeot iOn and Citroen C-ZERO support DC fast charging. Fast charge points are designed to “power up” electric cars at a faster rate. They deliver up to 50 kW of direct current via a special connector developed by the CHAdeMO Association. 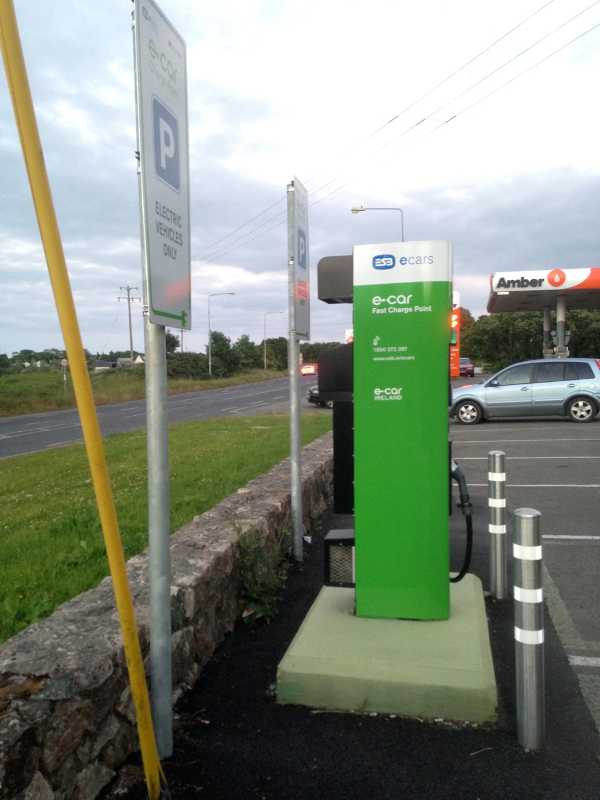 Check out the ESB Fast charge point page for more details. 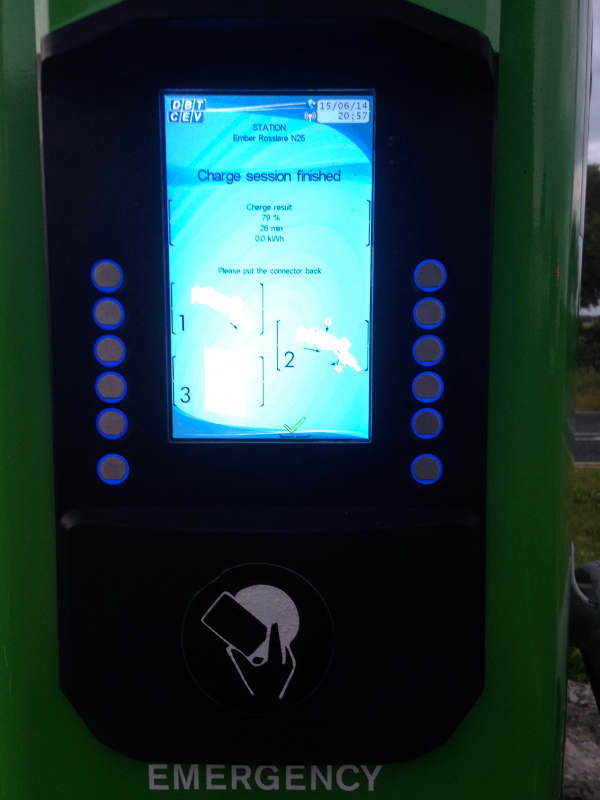 • A leaf from the Nissan … Ok another electric charger location update.